Love the interesting game of Bendy and the Ink Machine? 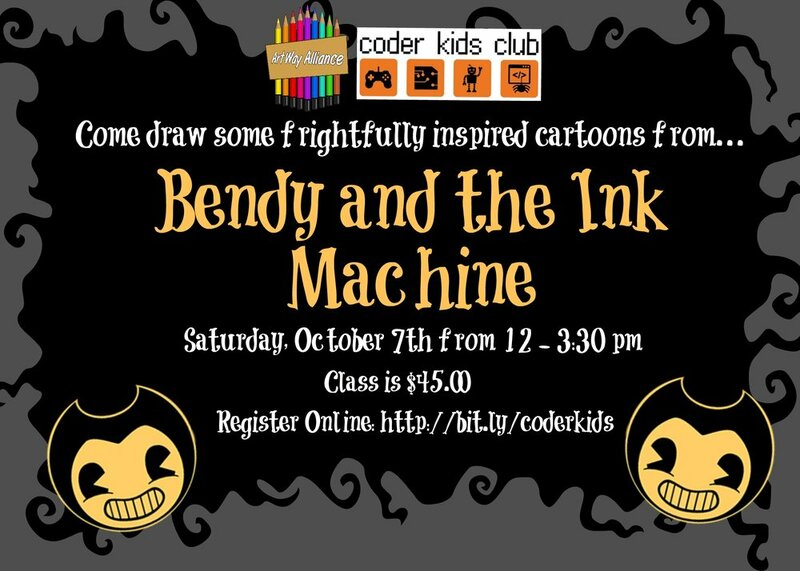 Come join us and the Coder Kids Club to learn how to draw Bendy and create characters that can fit into his creepy world. Tyrone Barnes will instruct participants on the creepy cartoon that has taken the internet by storm. Classes are only $45.00. Register now at Coder Kids Club to reserve your spot!